BMX prodigy Liam Phillips won his first European BMX Championship title at only ten years old, subsequently winning ten consecutive titles as a teenager. In 2008, aged 19, Liam made it to the quarterfinal stage at the Beijing Olympic Games where BMX made its Olympic debut as a sport, and has since represented his home nation at two consecutive Olympic games, in 2012 and 2016. 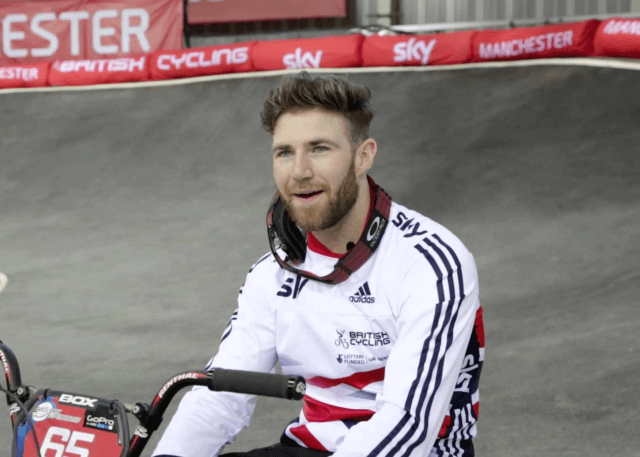 Liam won Silver at the 2012 BMX World Championships, following this in 2013 by winning all of his races at the BMX World Championships in Auckland, crowning off an incredible comeback year as World Champion. Liam was not able to retain his World Championship title in 2014 but became the first British male to win the UCI SX World Cup series. In 2016 the talented rider won a fourth consecutive UCI BMX Supercross World Cup in Manchester. Liam is a role model and inspiration to the next generation of cyclists.